The up-and-coming mobile handset manufacturer in China is none other than Xiaomi, and expectations are stratospheric for the technology start-up. Xiaomi has been making quite the name for itself with an impressive line-up of affordable smartphones. Even one of its more recent releases, the Mi4, is a flagship contender with potent and current hardware, and exceptional build quality, all for under $400. On the entry-level end of the spectrum, Xiaomi’s Redmi 1S also packs quality specs, like a Snapdragon 400, and a 720p 4.7-inch display, for under $100 in developing markets like India. Rumor has it that we will get to see a new flagship announcement, the Mi5, at CES next month in Las Vegas. Former Google executive, Hugo Barra, is the company’s Global vice-president and he has been adamant about ensuring timely OS updates to the product line-up. Xiaomi even has its own app store. With action like that, it is easy to entice investors to write big checks, and that is what is happening in what is likely to be a very short round of fund raising. By Monday’s expected conclusion of funding, Xiaomi will have taken in over $1 billion, and institutional investors are giving the company a valuation of over $45 billion – 350% higher than just over a year ago. Bear in mind, the company is not even four years old yet. Xiaomi has already surpassed Samsung’s shipment volume in China, and while no future is guaranteed, we can expect to see the new smartphone darling of China to continue expanding. While i support cheaper smartphone available to all. 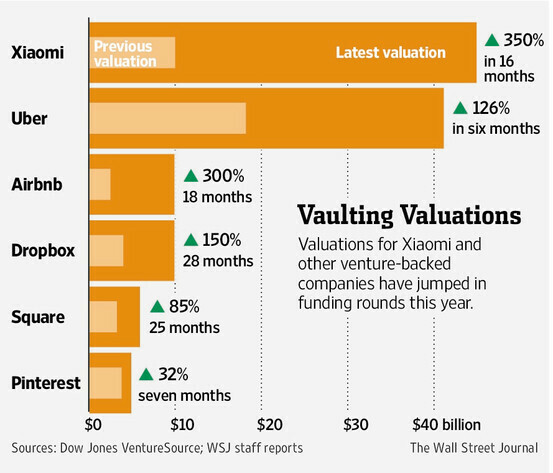 There are sign that XiaoMi is increasing its average selling price for better profit margins. Phase 1 - brand building phase is over. Phase 2 - high availability and to reach more markets. They need fund to open new markets and pay of those expensive parasitic agency. There is only one way to make them cheap...and it starts with labor...oh and cooking the books. And the tech bubble keeps growing and growing... all those QE dollars have to go somewhere. Delusional investors. This is a company that everyone THOUGHT banked half a billion for 2013, and it ended up being $56 million. They aren't making any money and they can't expand, because the moment they do, every major mobile company will shut that $hit show down because we all know Xiaomi are major IP thieves. 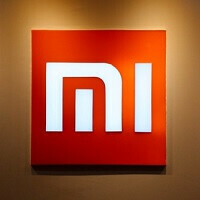 Are you upset that Xiaomi is a better company than Apple? I'm not an Apple fan by any stretch of the imagination, but their products aren't inferior to this Chinese knockoff. I think hes doesnt have a clue on how to capture a market, they are not stupid they know the only way to beat rivals is to sell cheap with low margins. Xiaomi is a popular brand now and pretty soon they will manage to increase their profits.. apple and samsung were thieves as well you dont get anywhere by being the nice guy. This is exactly it, this is a purely equity driven company. As soon as the paradigm shifts away from the black bar smart phone shape, Xiaomi is left with without it's own originality to continue it's sales volume. Their customers are from the price sensitive demographic, so it's also a matter of time before another OEM simply out prices Xiaomi. I'm used to be their supporters at the days of Mi3 but with some issues such as stealing techs that worsen their image It's hard to actually support them anymore. I personally have no problem with cheaper products but if that alleged stealing or lawsuits are true, they're probably going to only be successful in China and some other developing countries.